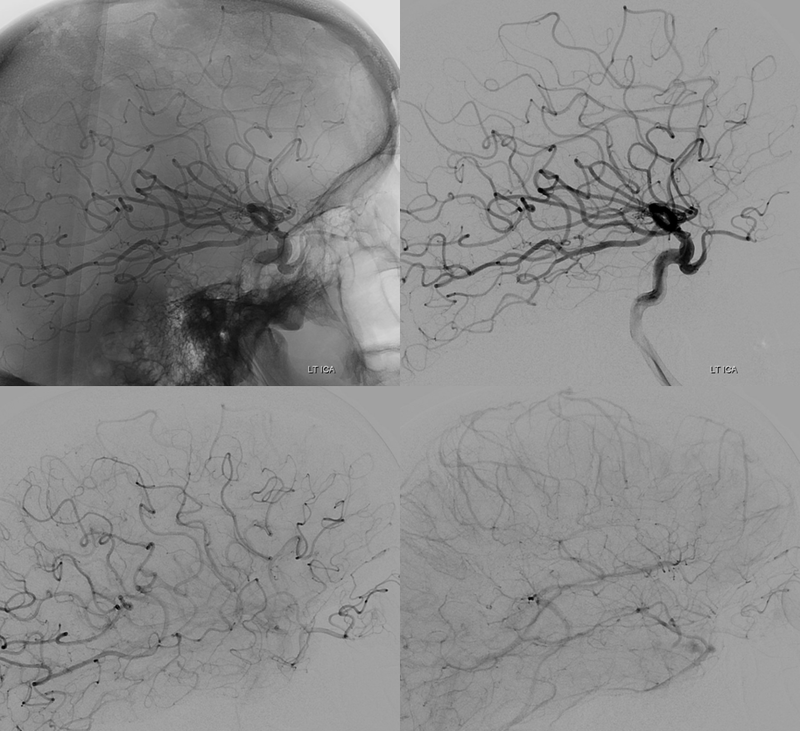 Dorsal ophthalmic and “regular” ophthalmic arteries — can coexist as you can see. This is a key point! 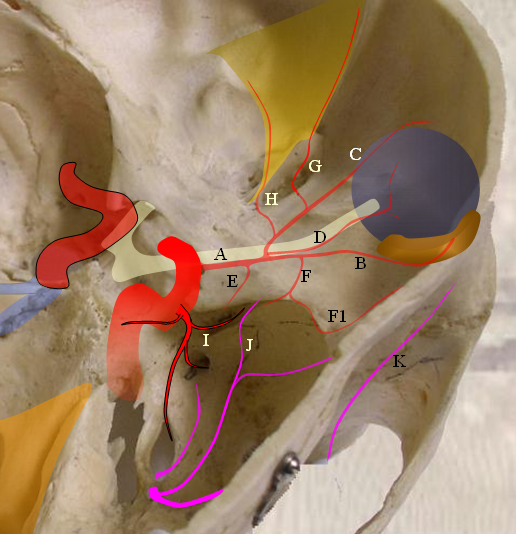 There is always a balance — similar to AICA–PICA, or PCOM–P1 dispositions — anything from fetal PCOM to full P1 dominance to anything in between. Same goes for the ophthalmic. 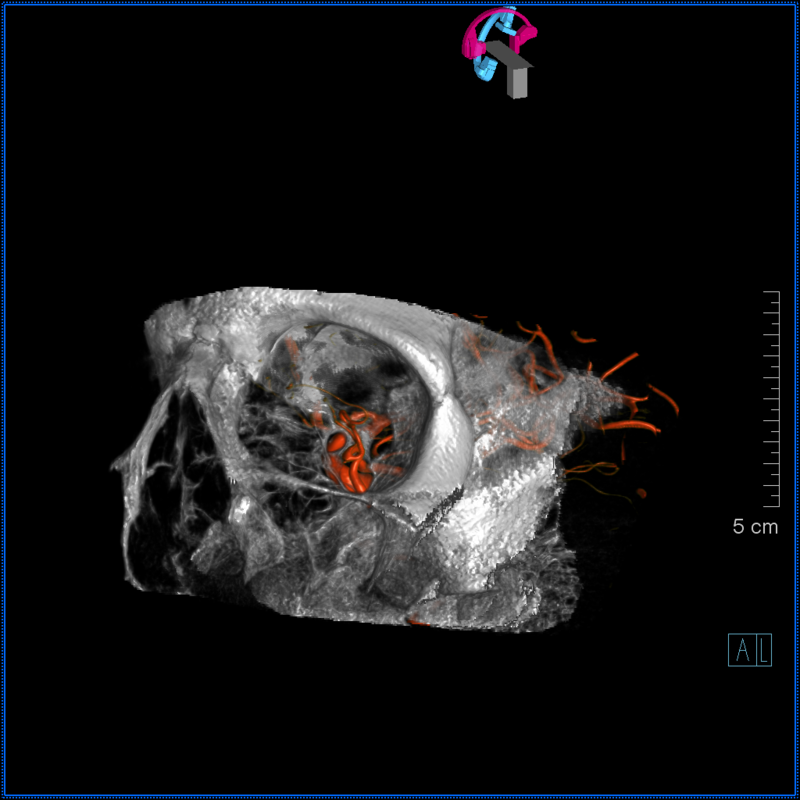 In these cases the vessels usually supply different portions of the orbit — as in this case, where the smaller “regular” ophthalmic (purple) gives off a choroidal blush (light blue) whereas the larger dorsal ophthalmic branch (red) supplies the extraoccular muscle apparatus. 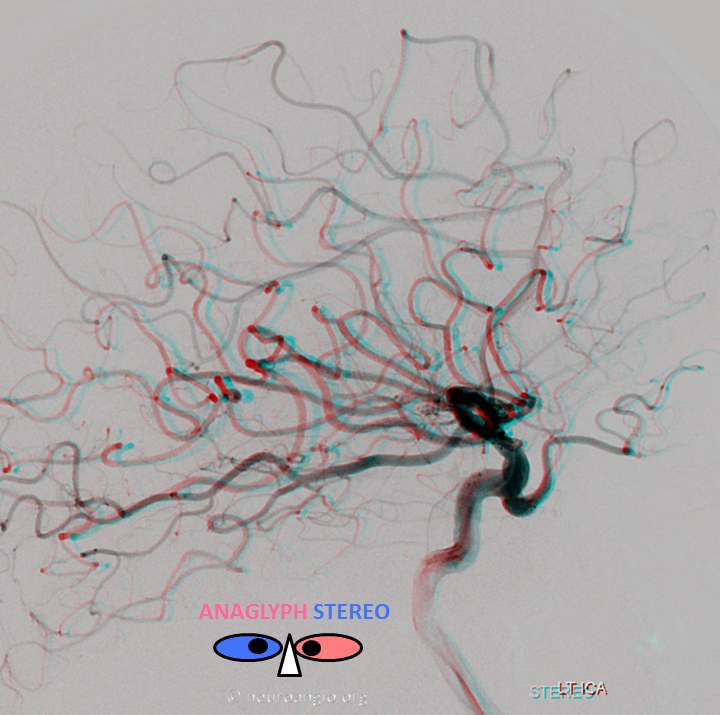 Acquired ophthalmic artery meningohypophyseal trunk origin from the anteromedial branch.In this patient the ophthalmic artery origin was associated with an aneurysm. 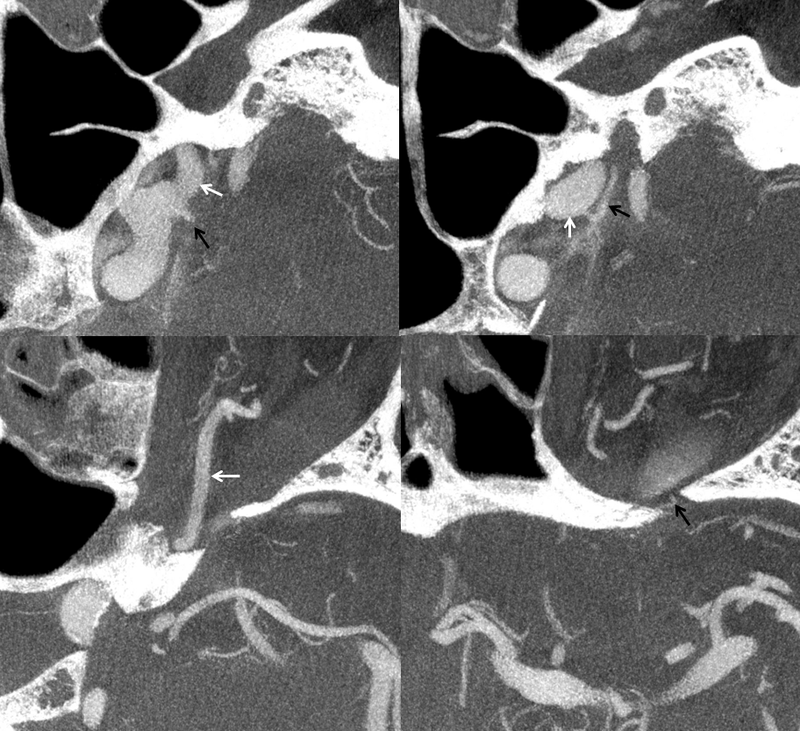 The upper set of images shows pre-treatment disposition with a prominent anteromedial branch (red) in this case arising from the MHT (rather than ILT, see ILT and MHT pages for info), collateralizing orbital supply (one can think of it as partial persistence of the dorsal ophthalmic artery). 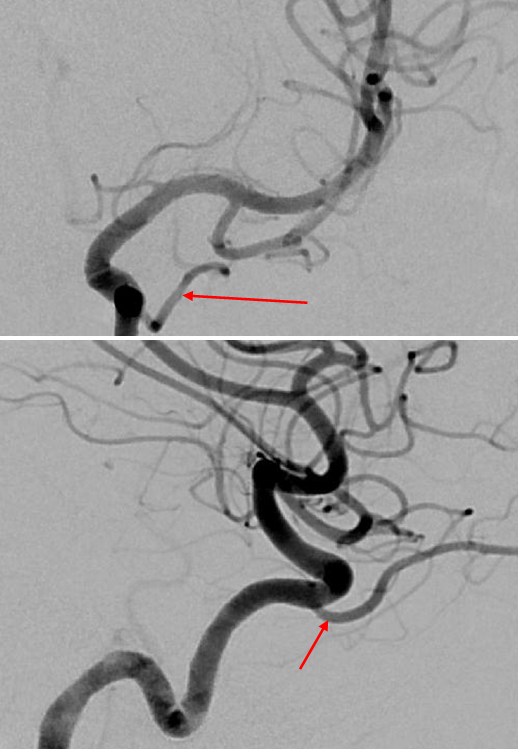 Following treatment, the aneurysm is no longer visible, and neither is the “normal” ophthalmic artery. The orbit is now being entirely supplied by the anteromedial branch, resembling an “acquired” dorsal ophthalmic disposition. 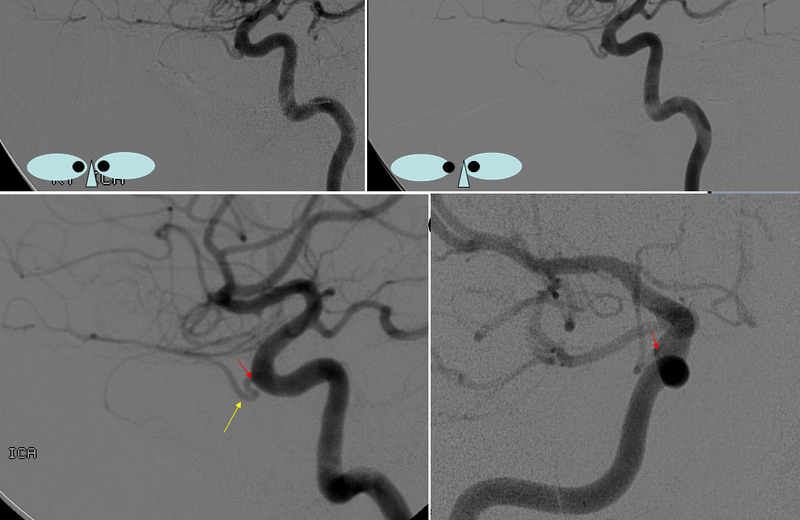 Pre-treatment AP and lateral projections demonstrating a large anteromedial branch (red) of the ILT participating in orbital supply together with the “usual” origin ophthalmic artery. 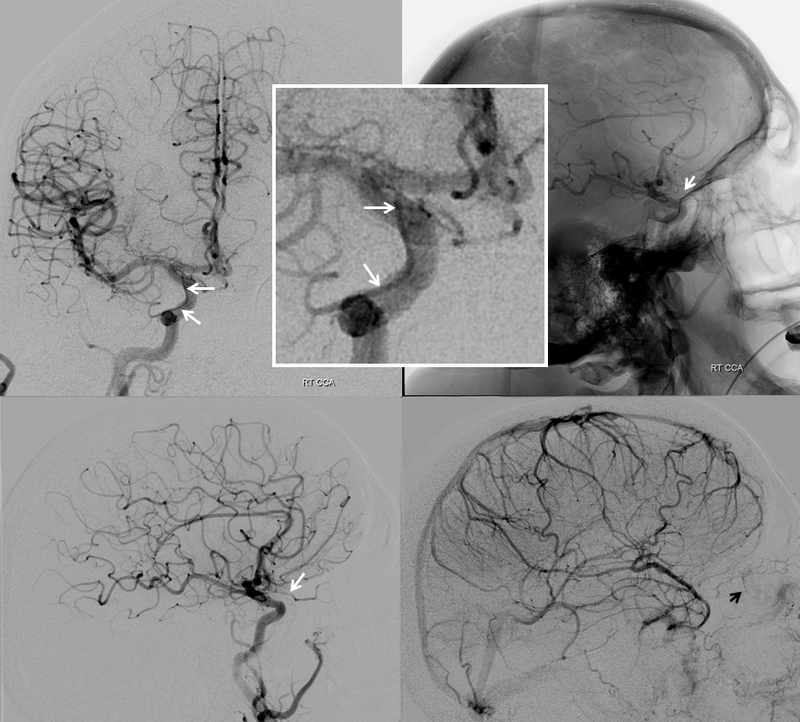 The marginal tentorial branch is also prominent secondary to pterional craniotomy for attempted clipping of the aneurysm and craniotomy-related sacrifice of the ipsilateral MMA. Post-treatment follow-up AP and lateral views of the same case. 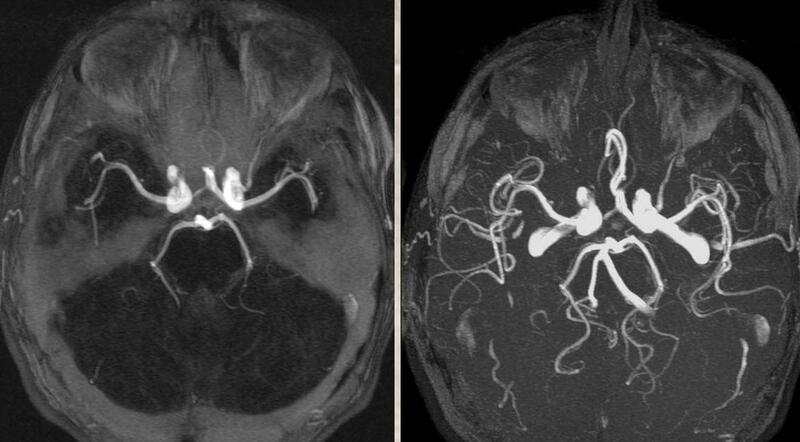 The ophthalmic artery is no longer visualized. The entire orbit is now supplied by an enlarged anterior branch of the MHT. This is a very unusual pattern of reconstition. 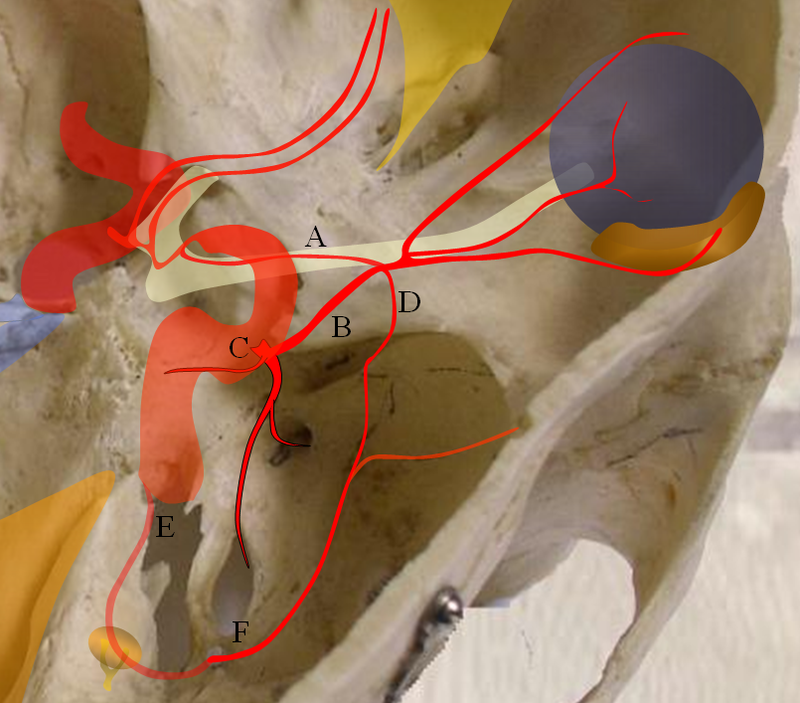 Also notice decrease in size of the marginal tentorial branch (purple) likely due to collateralization of the left MMA territory since time of the craniotomy 6 months previously. 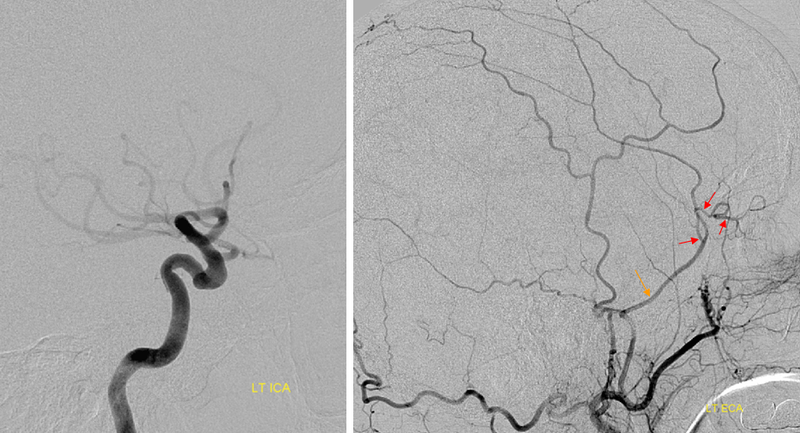 Left side shows a very large dorsal ophthalmic artery — again, embryologically this is the same as the anteromedial branch of the ILT.